The LI-820 CO2 Analyzer is a low maintenance, economical gas analyzer designed for continuous monitoring applications. It is an absolute, non-dispersive infrared (NDIR) gas analyzer based upon a single path, dual wavelength infrared detection system. It can be used in a wide range of demanding environmental conditions. 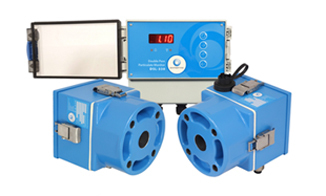 The KATflow 230 is a portable clamp-on flow meter with two measurement channels offering a variety of optional features. 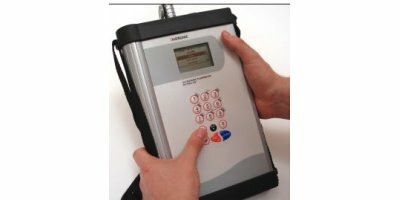 It is a compact and robust instrument that comprises additional functions that can turn it into more than just a flow meter. By Katronic Technologies Ltd. based in Coventry, UNITED KINGDOM. Specifically designed for continuous monitoring of CO2 and H2O over a wide range of environmental conditions, the LI-840A CO2/H2O Analyzer is an absolute, non-dispersive, infrared (NDIR) gas analyzer based on a single, interchangeable optical path, and a dual wavelength infrared detection system. The LI-820 CO2 Analyzer is a low cost, low maintenance CO2 analyzer designed for continuous monitoring applications. It is an absolute, non-dispersive infrared (NDIR) gas analyzer based upon a single path, dual wavelength, infrared detection system. It can be used in a wide range of environmental conditions. By Atmosfir based in Raleigh, NORTH CAROLINA (USA).